The use of tyre pyrolysis oil ? Around the world, there are initiatives to replace gasoline and diesel fuel due to the impact of fossil fuel crisis, hike in oil price and stringent emission norms. Millions of dollars are being invested in the search for alternative fuels. On the other hand, the disposal of waste tyres from automotive vehicles is becoming more and more complex. Waste to energy is the recent trend in the selection of alternate fuels. Fuels like alcohol, biodiesel, liquid fuel from plastics etc are some of the alternative fuels for the internal combustion engines. 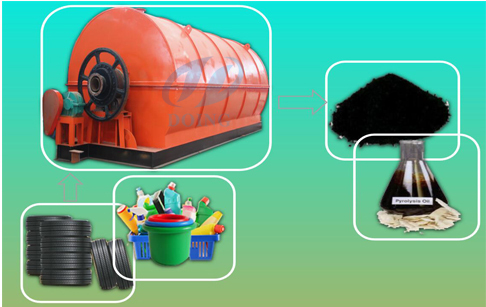 Henan Doing produced waste tyre pyrolysis plant ,waste tyre pyrolysis plant adopt pyrolysis technology that can convert waste tyre to fuel oil ,carbon black and steel wire. The use of Tyre pyrolysis oil as a substitution to diesel fuel is an opportunity in minimizing the utilization of the natural resources. Several research works have been carried out on the pyrolysis of waste automobile tyres. Pyrolysis is the process of thermally degrading a substance into smaller, less complex molecules. 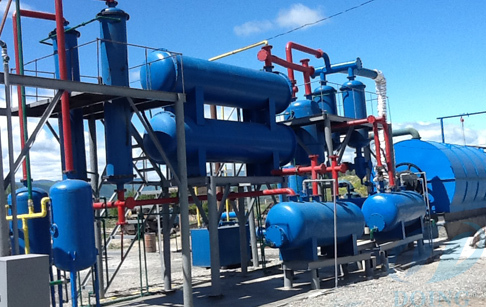 Pyrolysis produces three principal products: such as pyrolytic oil, gas and char. The quality and quantity of these products depend upon the reactor temperature and design. 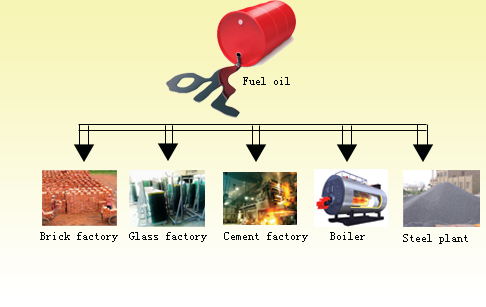 The tyre pyrolysis oil is a kind of crude fuel oil, which can be used for industrial heating used in any fuel needed industrial factories, such as cement plant, steel mill, glass factory, brick factory, boiler used factory, etc.Or can be refined to diesel, directly used in diesel burners, generators, heavy trucks, agricultural machinery,and mix with normal diesel used for cars. Prev:Pyrolysis process of tyres to oil ? Next:What is the process followed in the conversion of plastic to fuel? If you wanna to get more details about The use of tyre pyrolysis oil ? you can send E-mail to market@doinggroup.com. You can consult our professional engineer and specialized sales team with leave a message in below form.We will contact with you ASAP.You also can visit our factory in Henan,China.Get Detailed address.